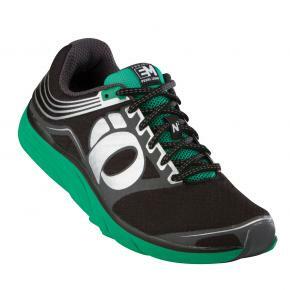 Just In: Men's and Women's Road N2 version 2s. Pearl Izumi's neutral low-cushioned shoe gets a nice overhaul here, but remains a dynamic offset, 4mm at initial contact and 7.5mm at mid-stance, and weighs in at 9.6 ounces for men and 8.4 ounces for women. The outsole got re-tuned to have more forefoot flexibility, enhanced heel cushioning and improved traction. The upper has a 3D Seamless print technology that adds some lightweight structure and upper integrity. Overall the shoe feels roomier in the toe box and a little more structured in the heel than the previous version. It feels like it fits truer to size, and the changes to the outsole are noticeable upon step-in as well.